4 Bedroom Semi Detached House For Sale in Maidstone for Asking Price £475,000. A stunning family home that has been well maintained and extended by the current owner. 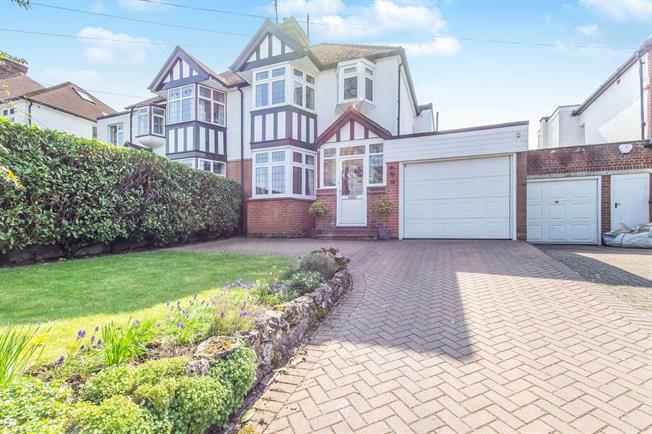 This fabulous property has spacious and flexible accommodation throughout and sits on a large southerly aspect plot. entrance hall, WC, bay fronted living room, adjacent dining room, day room/garden room, 20' kitchen/breakfast room with adjacent utility room. The 1st floor includes four sizeable bedrooms and a generous family bathroom.